Cape Town - Former Proteas all-rounder and current Zimbabwean batting coach Lance Klusener is not the biggest fan of the idea of four-day Test cricket. Klusener will be looking on as Zimbabwe and South Africa make history on Boxing Day this year when they do battle in the first ever four-day Test. The match, which will be played at St. Georges Park in Port Elizabeth, will also be a day/night Test. 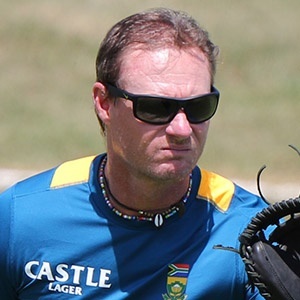 Klusener, who has been working with Zimbabwe since June last year, understands perfectly why the ICC has opted to trial four-day Test cricket and he is delighted that it has given Zimbabwe the opportunity to take on the Proteas, but he is still not sold on whether or not the game's heavyweights should embrace the new format when playing against each other. "It's interesting," he said, speaking to Sport24 on Wednesday. "I'm not so sure. I'm still a traditional, five-day kind of guy. "Whether it will work for lesser opposition and the smaller sides when they play against the bigger sides, who knows? "It might be a good start. For us, we are delighted that we get to test ourselves against the (Kagiso) Rabadas of the world. "If you ask me if I am a fan of four-day cricket ... probably not. But if it gives us the opportunity to play against the bigger nations in world cricket more regularly, then that's great." Klusener did not feel that playing under lights would necessarily give his side the edge. "We haven't had the experience of playing with a pink ball under lights yet, while South Africa have," he said. "It's just a big chance for us and we're really excited about it. We're no longer scared to play against the big teams."